← A place of miracles…like my wedding! A new path to the waterfall. A New Path to the Waterfall is actually the name of Raymond Carver’s last book (and as Salman Rushdie advised, “Read it. 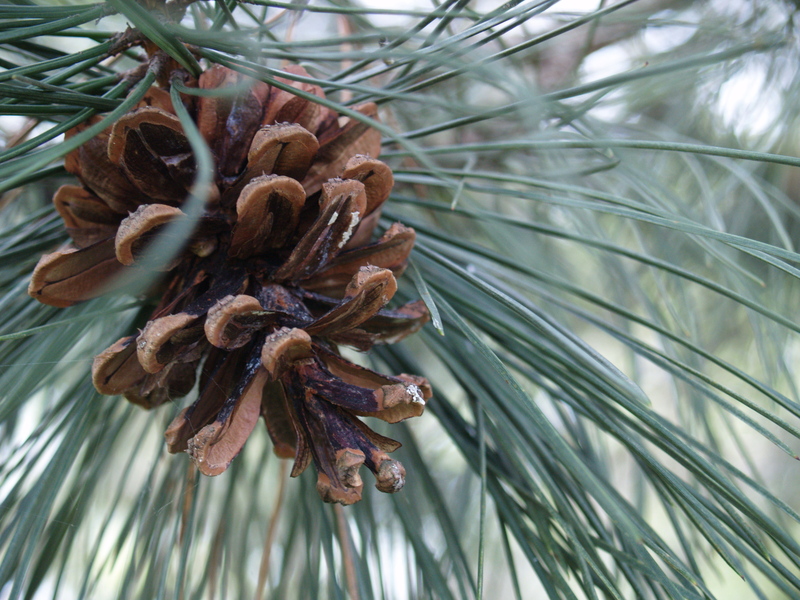 Read everything Carver wrote…”) but it’s also a proposal from my friends at Environment Georgia. 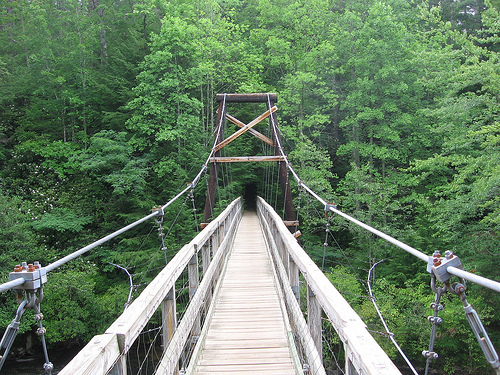 On "the Gut" bridge over the Toccoa on Benton MacKaye Trail. You might not think of Georgia as a particularly wild place (we’re not talking Buckhead here, people) but the North Georgia Mountains are home to two genuine wilderness gems: the Benton MacKaye Trail and the Appalachian Trail. 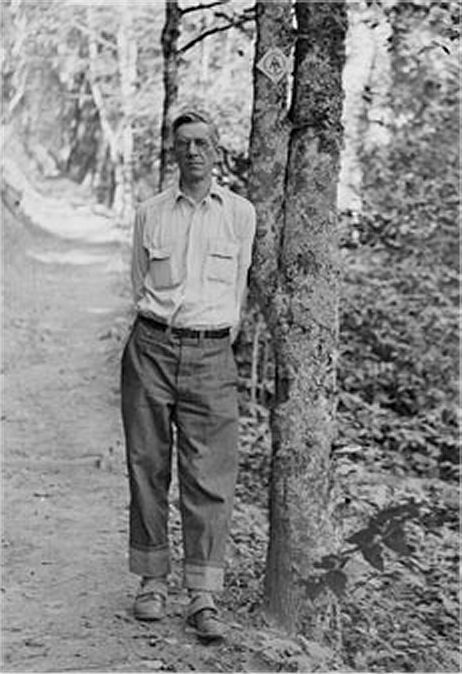 Benton MacKaye was the Massachusetts forester who first had the idea for the Appalachian Trail in 1921, and his trail runs 300 miles through 3 states and 8 wilderness areas — from Springer Mountain, Georgia to Davenport Gap, Tennessee. 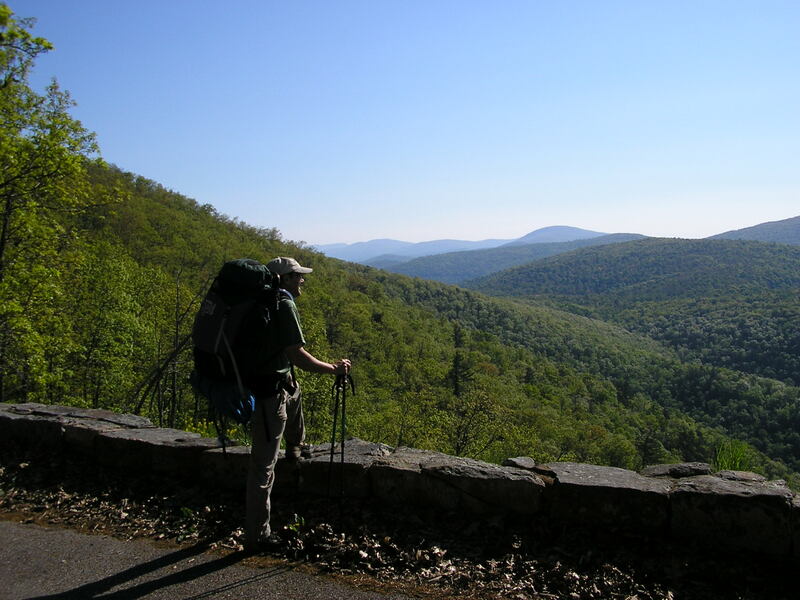 The Appalachian Trail is 2,169 miles long and also begins (or ends, depending on your state affiliation) at Springer Mountain, Georgia and passes through 14 states up to Mt. Katahdin, Maine. 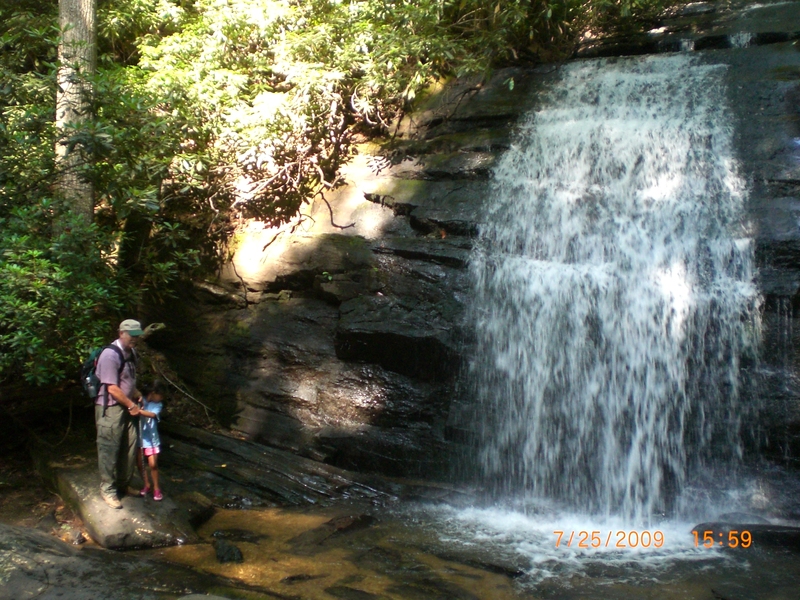 The only problem with these glorious wilderness trails– boasting cold mountain streams, rushing waterfalls and quiet wooded vistas– is that much of the Georgia forest is actually private land, and hence susceptible to development. In fact, a University of Georgia study shows that the state loses 100 acres of land a day to parking lots, strip malls and housing development. We need a plan now to ensure that our wilderness areas stay wild and protected in perpetuity, and I’m thrilled to report that Environment Georgia is on it! The plan is to lobby the Obama administration for funding for Georgia’s wilderness areas through the America’s Great Outdoors initiative (sign the petition here). 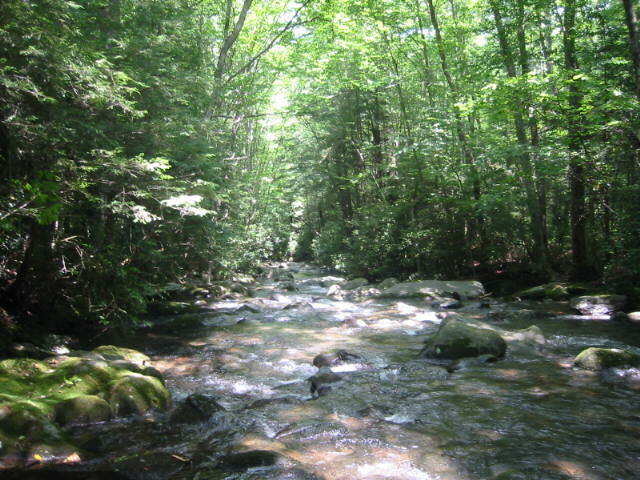 EG is also lobbying Congress to fully fund the Land and Water Conservation Fund that was established in 1965 to invest in conservation and recreation areas. Unfortunately, over the last 8 years, LWCF funding for federal land protection has dropped more than 70%, and the $900 million that’s supposed to come from offshore drilling has been diverted to other projects. Those funds could and should be helping the Forest Service buy up private lands along the trails and within the viewshed, protecting it forever – which is what EG is hoping to accomplish. Environment Georgia is a relentlessly optimistic advocacy organization that works tirelessly with the legislature, special interest groups and local communities to preserve our state’s wild places for hunters, anglers, hikers, and our children’s children to enjoy (because I couldn’t drag my own kids on a hike if I paid them). 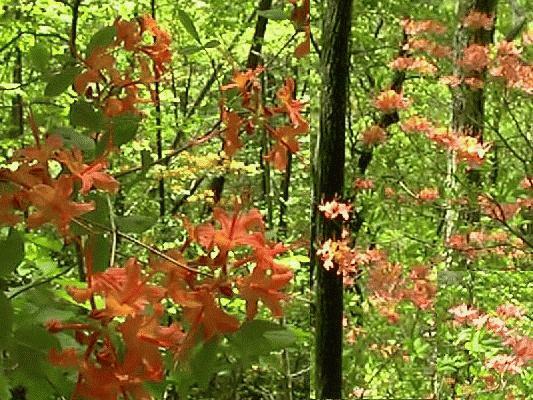 Sounds like an agenda I can support 100% — with $100 today for Environment Georgia’s Preserve Trails initiative. To join me, click here! I needed to see this today. I just learned that my grandson is facing surgery on Monday. That as a result, he may require a plate to hold his jaw together. This as result of his father neglecting his health while my grandkids were living with him during my daughter’s earlier out of state travelling work. As soon as they were back with her, she immediately made the dental appts. but was long wait, so, rather than minor procedure, he is facing pretty serious surgery on Monday Oct 4, 2010. So, these calm beautiful pictures really were on time. Keep me, Bambi, Gabe & his sister Laura in your prayers. Just another wonderful reason to visit the state of Georgia! Thank you very much Betty for sharing these beautiful pictures and for the awesome work you are doing with your “what gives” blog.